Published: January 11, 2014 13:10 By Manjari Saxena, Deputy Editor, The weekend tabloid! When three people – one established singer and two new kids on the block – can hold a hall full of 4,000 spellbound for four hours, you cannot but have a hit on your hands. Salaam Dubai, the DSF event organised by Oberoi Middle East, proved to be really “Slam Dubai” as the tabloid! headline of December 30, 2013 had predicted. If the three lanes (two, of course breaking all traffic rules), snaking their way into the Mina A’Salam’s underground parking for their VVIP parking spot, at 9pm on Friday night, were anything to go by, no one would have thought Salaam Dubai would start on time. 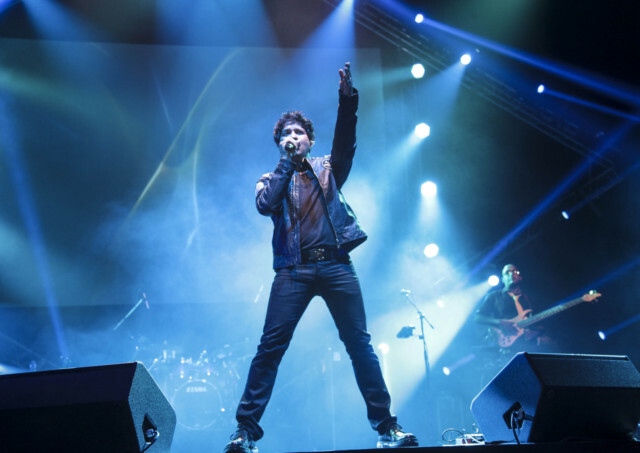 But sharp at 9.30pm, despite most of the VVIP and VIP section being empty, the lights dimmed and UAE’s popular RJ Sikander took the stage to announce the first performer of the sold-out evening. Singer Monali Thakur, looking pretty in a simple pink, gold and blue channia choli (Indian skirt and top) started the show with the melodious Sanwaar Loon from last year’s Lootera and her Race 2 hit Touch Me. “I want you to sing along with me Dubai,” she called, though it seemed the audience needed a bit more time to warm up. Yet, the exuberant singer – as singer KK referred to her when speaking to tabloid! last week – made up for the slight lack of energy in the hall, dancing to her own tune. By the time her hour was up on stage, the right mood was set for the evening with her pacy numbers, such as Golmaal and Anjana Anjani. 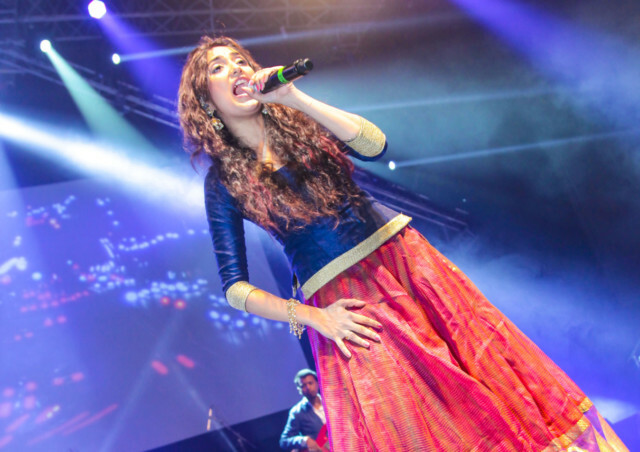 She also introduced the crowd to the lilting Aa Ghar Chalein from her forthcoming acting debut Lakshmi. Least expected, the star of the show KK was the next performer, dressed in his trademark black jeans, t-shirt and leather jacket. Taking over from Thakur, KK mellowed the gathering with softer numbers such as Mera Pehla Pehla Pyar, Tu Hi Meri Shab (Gangster), Yaaron Dosti, one of his first big hits, before launching into the award-winning Khuda Jaane (Bachna Ae Haseeno), Zara Si Dil Mein De Jagah Tu (Jannat 2). He left the audience dancing to Hum Hai Naye Andaz Kyon Ho Purana (Dil Chahta Hai) and wanting more — especially the song Tadap Tadap (Hum Dil De Chuke Sanam), screams for which were heard even before he stepped on stage. One would wonder why an established singer would give his spot in the limelight to a newcomer such as Arijit Singh. That was clear by the response Singh received from the crowd on his arrival. I remember watching Singh on Fame Gurukul, who was voted out at the sixth position. But the man singing on the stage was much different from the promising teenager of 2005. 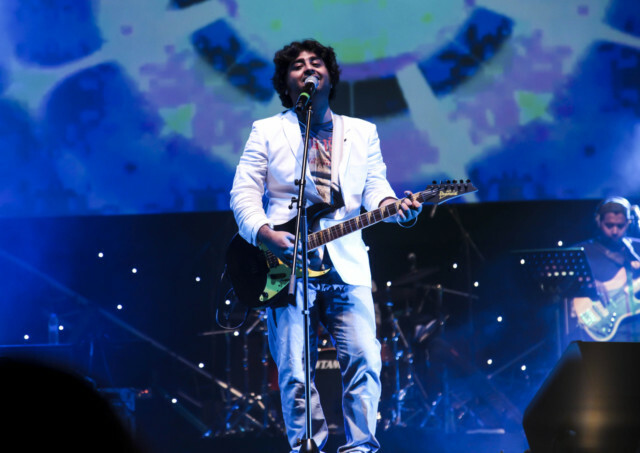 Along with his hits such as Tum Hi Ho (Aashiqui 2), Ilahi (Yeh Jawaani Hai Deewani), Phir Le Aaya Dil (Barfi), Singh took the stage by storm with a fast paced medley of hits by singers Mohit Chauhan, Atif Aslam, Nusrat Fateh Ali Khan and Kailash Kher. He also included the late Reshma’s Lambi Judaii (Hero) and Ayushman Khurana’s Pani Da Rang Ve (Vicky Donor). He haltingly sang the breathless Raabta from Agent Vinod, apologising for it before singing. “I will sing because you wish me to sing it. But it’s a breathless song, so you need to fill in the gaps,” he told the screaming crowd. He obliged his fans by singing Benny Dayal’s Badtameez Dil (Yeh Jawaani Hai Deewani) before moving into Dilli Wali Girlfriend from the same film. The highlight of his performance had to be the rendition of Kabira. However, like KK, he too left his fans missing out on the hit Laal Ishq from Ram Leela. “I know I’m disappointing you. I wish I could sing it for you but we are running out of time. This is how I know you’d want me back here,” ending the evening on a high note with Tum Hi Ho.